Many people love the fall season because of the changing colors of the leaves, cooler temperatures, and festivals that occur in a number of communities. There are also a number of activities available for elders with various health and mobility issues. These activities cost little to no money, yet will keep the elder entertained for the entire day. Consider having a elder care provider assist your loved one with these activities in order to make sure they stay safe during the festivities. Here are just a few of the activities you should consider doing with your elderly parent. Who does not love a pumpkin patch? Not only can you pick and purchase your own pumpkin, but there are also corn mazes, hay rides, and pony rides. The prices for admission range from $10 to $15, while the pumpkins are typically $.61 a pound. Once your fun at the pumpkin patch is over, your aging loved one and other family members can carve pumpkins, cook with them, or find other ways to decorate them. The elder and other family members may have fun gathering around the kitchen table, while each one fills a decorative trick-or-treat bag. 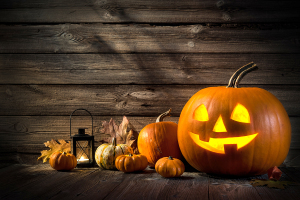 Doing this before Halloween will help you better prepare for this holiday. Most towns have a festival known as Oktoberfest. Admission is free, but you will have to pay for food, drinks, games, and parking. Another fun outdoor activity for elders is apple-picking. Most apple orchards allow the public to pick apples during the weekend at prices as low as $.93 per pound. If your elderly loved one enjoys crafting, then they will also have fun creating their own seasonal home decorations. Check with local senior centers to see if there will be any crafting classes available to sign the elder up for. If not, many of these craft ideas can be found on websites like Pinterest. Some of the most popular DIY home décor ideas include wreathes, frames, and holiday-themed décor. Whether or not the elder knows any of the football players on their local high school or college teams, they may still enjoy sitting with the other fans, nestled under warm blankets, and sipping hot cocoa or coffee while watching the game. Games begin in late August and go until the end of November. Many stadiums also offer senior discounts. There are a number of fun activities your elderly parent can participate in this fall. Hopefully these ideas will help get you started. This entry was posted in Elder Care Oakland TN and tagged Elder Care Oakland TN. Bookmark the permalink.